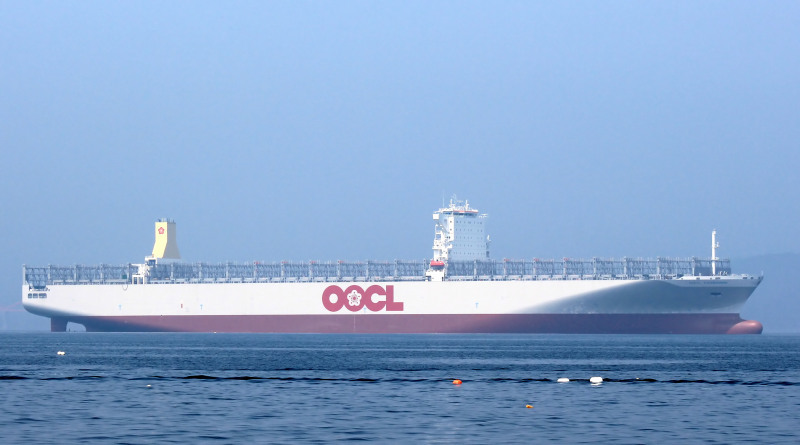 "OOCL Chongqing", Samsung Heavy Industries hull No. 2006, about to start her sea trials, just off her "birthplace" near Geoje City, Geoje Island, Korea. An impressive picture; well done Vlad. In its own way a smart looking ship. This photo has been shown 5,165 times since it was added to the site.